UFC 149 fighters Welterweight Matt Riddle and featherweight Francisco Rivera both received 90 day retroactive suspensions for testing positive on drugs on the day of their fight, held last July 21. Riddle tested positive for marijuana, while Rivera tested positive for using an over-the-counter stimulant. 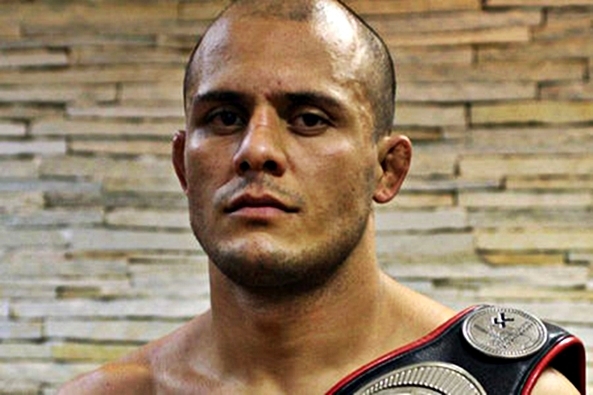 Afghan born, welterweight striker Siyar Bahadurzada is now the latest UFC fighter that was hit by the injury bug. Bahadurzada suffers from an undisclosed injury. After a series of tests and observations from UFC management, the UFC 124 is complete and official. Included on the fight card is Sean Pierson who debuts for the first time on the octagon in a fight with Matt Riddle. Sean Pierson’s welcome fight will be with Matt Riddle on UFC 124. UFC recently announced the official UFC 124 fight card. Pierson will replace injured Anthony “T.J.” Waldburger. He will face Riddle under the prelim card of the December event. UFC 124 will feature TUF coaches, champ Georges St-Pierre and top contender Josh Koscheck, “UFC 124: St-Pierre vs. Koscheck II” takes place Dec. 11 at Montreal’s Bell Centre. Prior to this, Pierson was scheduled to fight for the Bellator Fighting Championships’ season-two welterweight tournament but was forced to withraw due to an undisclosed injury. He recently rebounded from a TKO victory over Ricky Goodall in an Canadian show. He also had a victory over UFC middleweight Patrick Cote’s jiu-jitsu coach, Fabio Holanda. Riddle on the other hand fought his career in the UFC octagon. After an early exit at TUF 7, he posted consecutive decision wins before falling into the hands of Nick Osipczak via TKO at UFC 105. He rebounded with a TKO win over Damarques Johnson in August. And a disqualification victory over Greg Soto at UFC 111. See the full UFC 124 card after the skip.